Hope to get good at this, as lots of compelling evidence suggests that plant-based nutrition is one of life’s best practices. This turned out pretty good. 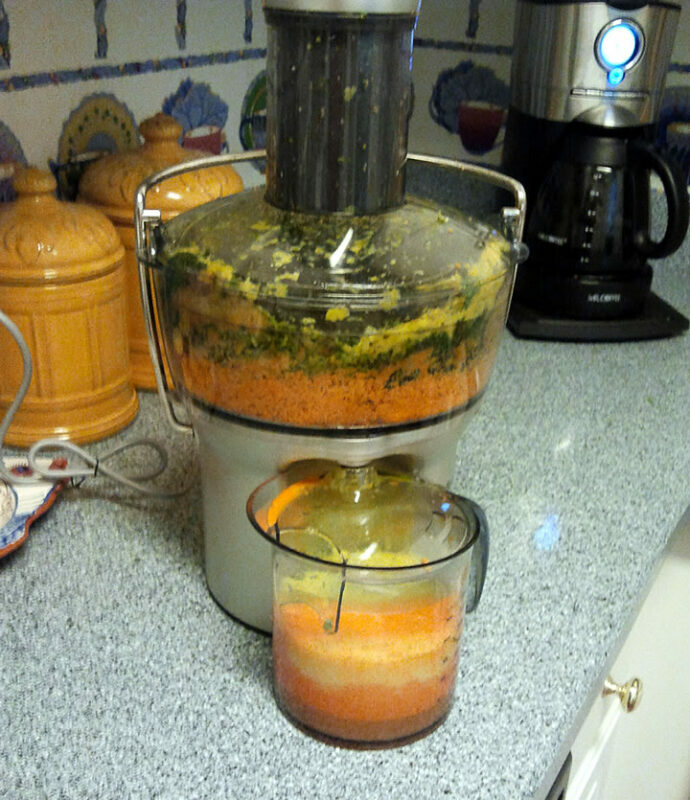 That is a big wad of organic kale, carrots, peaches, and an apple. 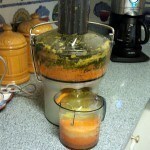 Before everything went down the juicer chute I added a banana and an orange for sweetening. 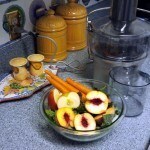 The Breville ‘compact’ juicer is pretty awesome – breaks down, cleans up, and re-assembles easily. 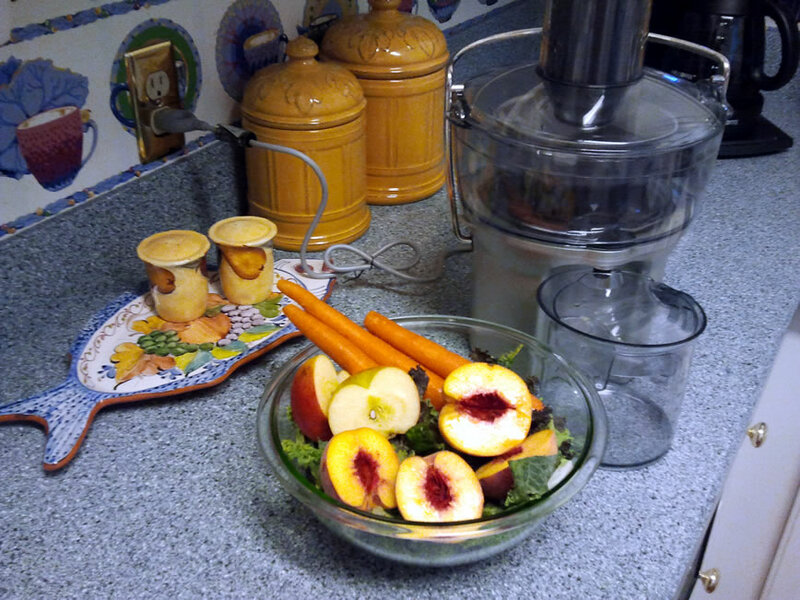 One issue that may be my inexperience: When hard fruits and veggies hit the turbo, the juicer rocks a little and shakes the jug out of position (see the spillage). Need help getting this right. My tendency to add lots of sweet fruit needs adjusting: you want to go heavier on the leafy greens. Getting that green juice to taste good is the trick. Will be reading this guide for expert advice.